Do you have trouble oversleeping in the morning? 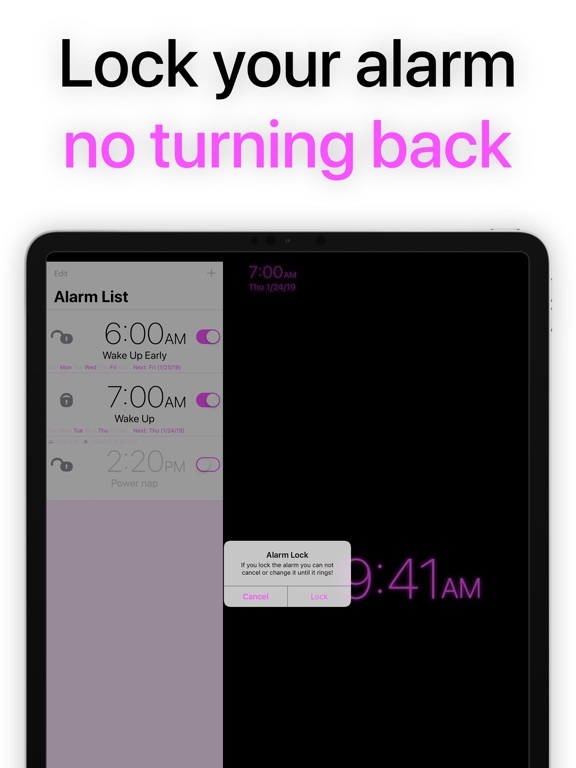 Are you tired of losing the battle with your traditional alarm clock? 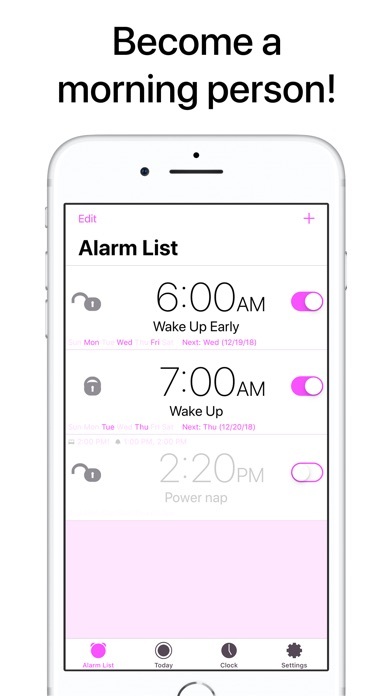 Do you want the perfect way to make sure that you get up on time whenever you want, and wherever you are? Then you need Mathe Alarm Clock! 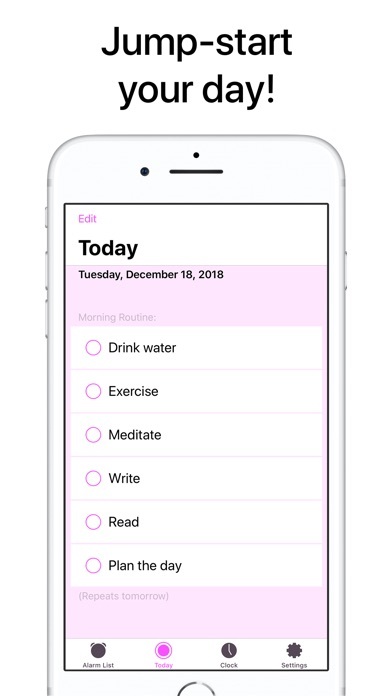 > Wake up with an active mind! > Become a Morning Person! 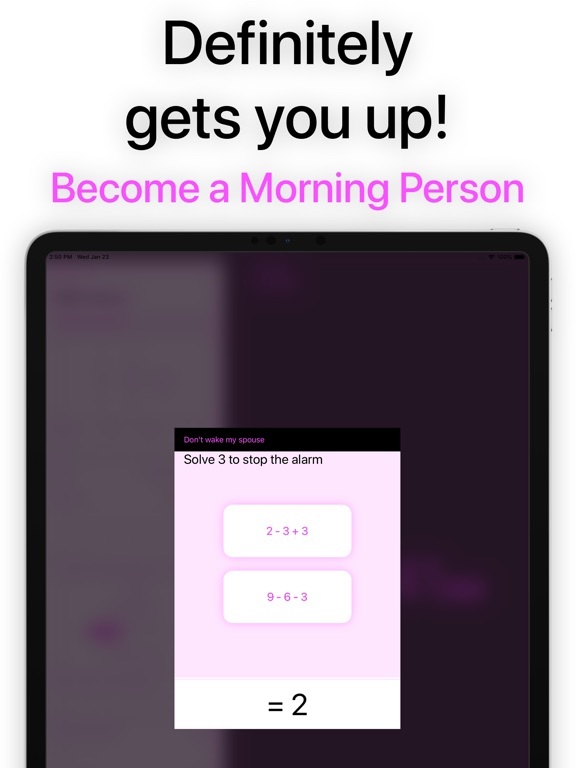 Unlike conventional alarm clocks and alarm apps, Mathe Alarm Clock forces you to solve multiple-choice math puzzles before shutting off its alarm. 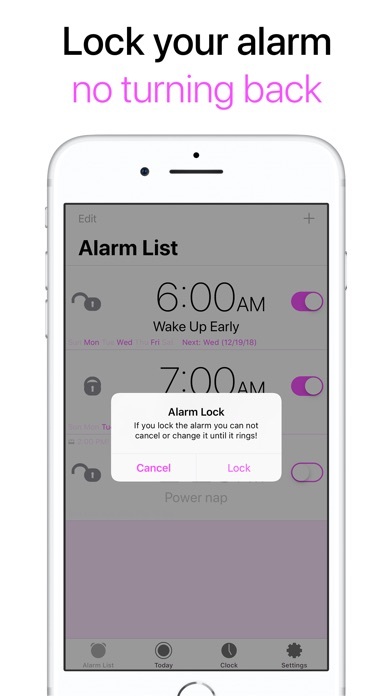 You'll never worry again about unconsciously pressing your alarm clock's "snooze" button and oversleeping! 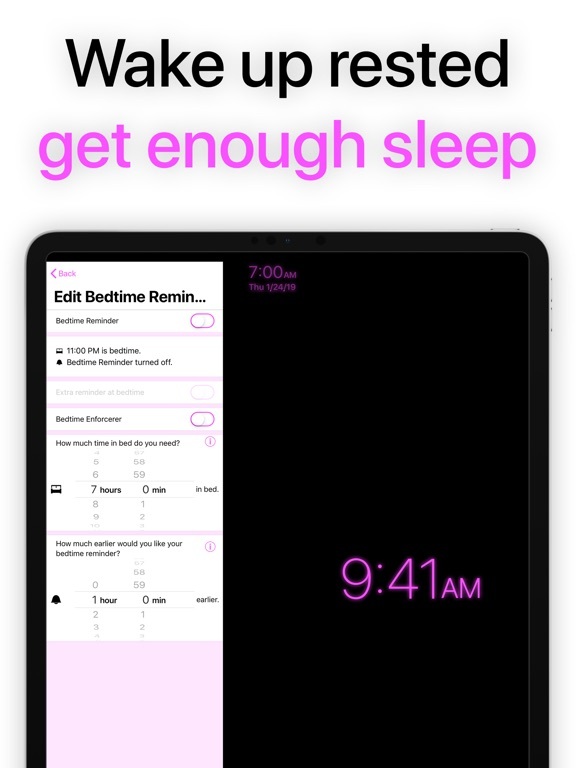 Mathe Alarm Clock wakes your brain up. Irritating, but definitely gets you up! 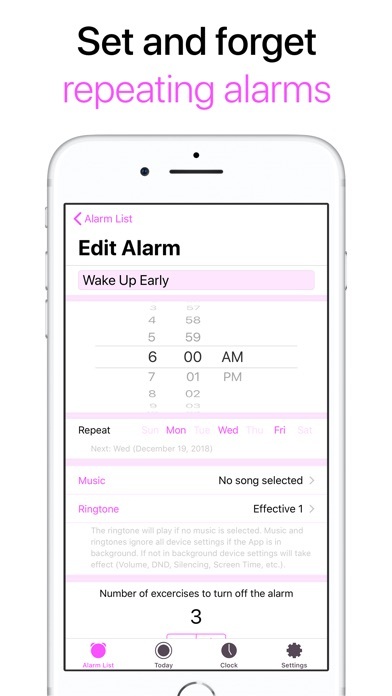 > Set multiple alarm options (e.g. early, normal, late, power nap etc. ), and choose the one that you want each night before going to sleep. 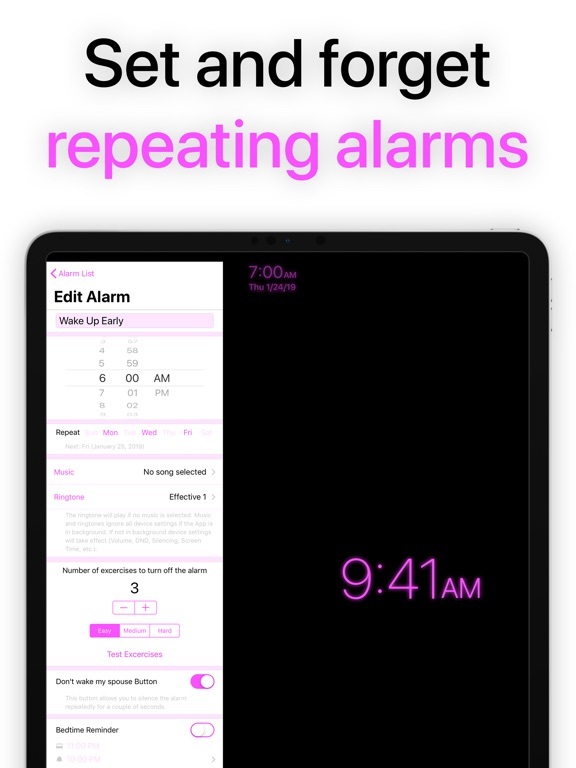 > Set repeating alarms (e.g. each Monday and Tuesday), and stick to a more steady sleep schedule. 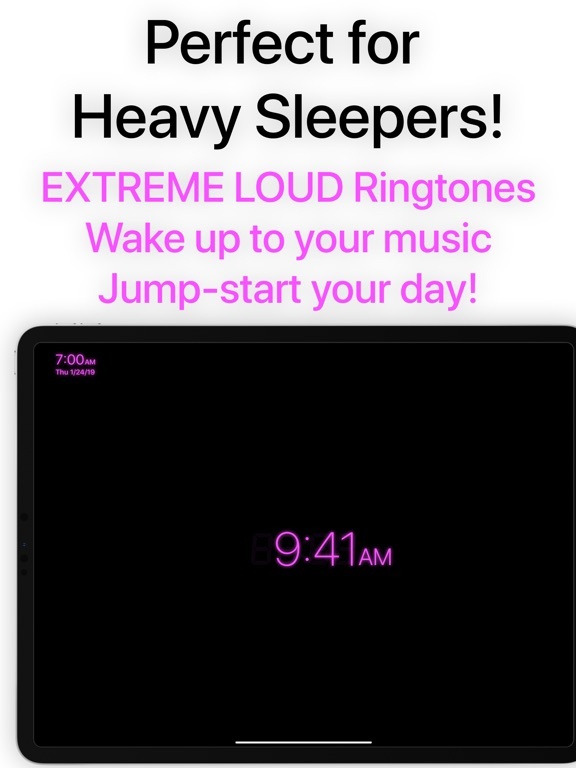 > Preset the music and ringtone volume ignoring your device settings (Volume, DND, Silencing, Screen Time etc.). > Determine the number of multiple choice math questions you want to answer upon waking up. 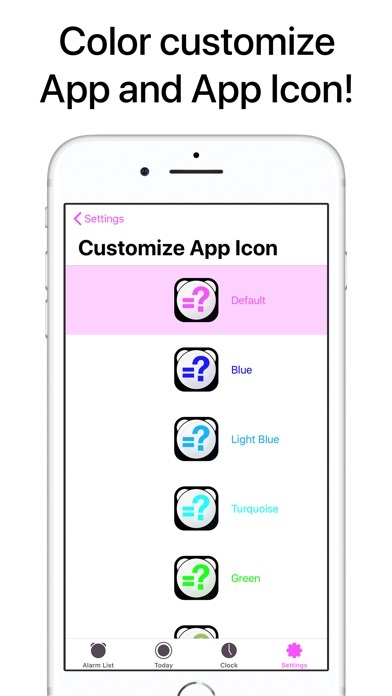 > Toggle the degree of difficulty for each question: easy, medium or hard. There are also test exercises so you can see which one is right for you. 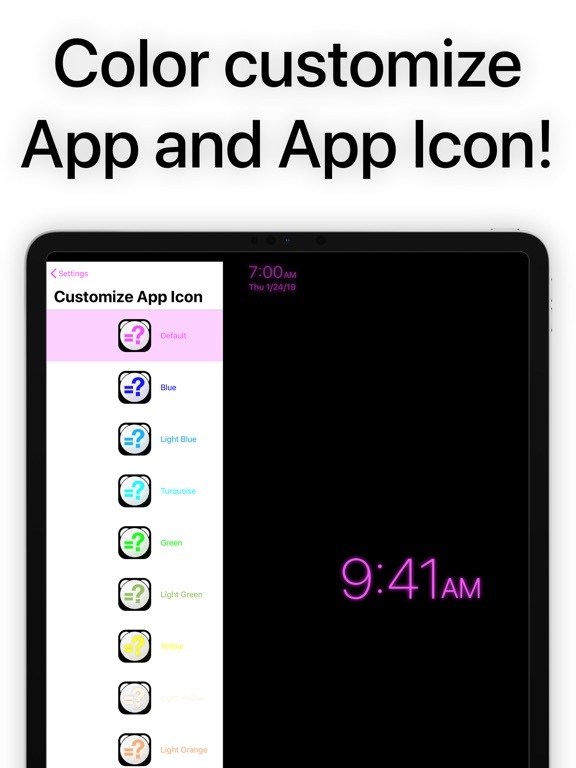 > Customize the color of the App Icon and the App itself to fit your style. 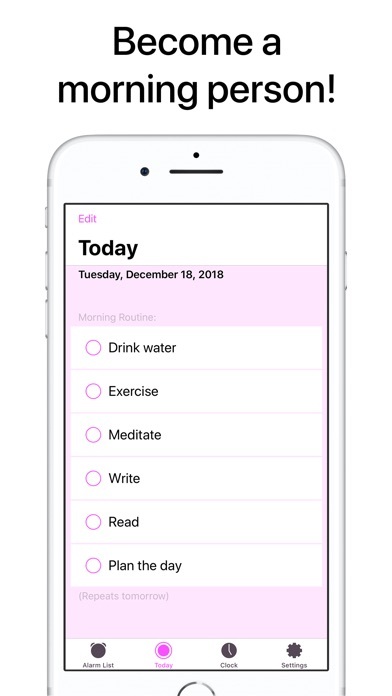 > Create your individual Morning Routine to jump-start your mornings. Do you like to get up early in the morning but your spouse doesn't? Now you can use the "Don't Wake my Spouse Button"! It's a super short time snooze (optional). Your spouse will thank you later. Would you love to get the sleep you deserve but still fall back into bad habits at night that keep you awake? 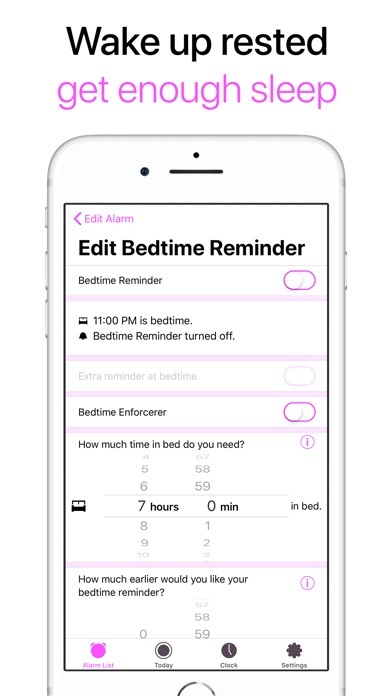 Sometimes all it needs is a little reminder at the right time: Try the "Bedtime Reminder" packaged with this App (optional). Still doesn't do the trick? Than it's time to introduce the "Bedtime Enforcerer" (optional). It won't shut up until you eventually are in bed. 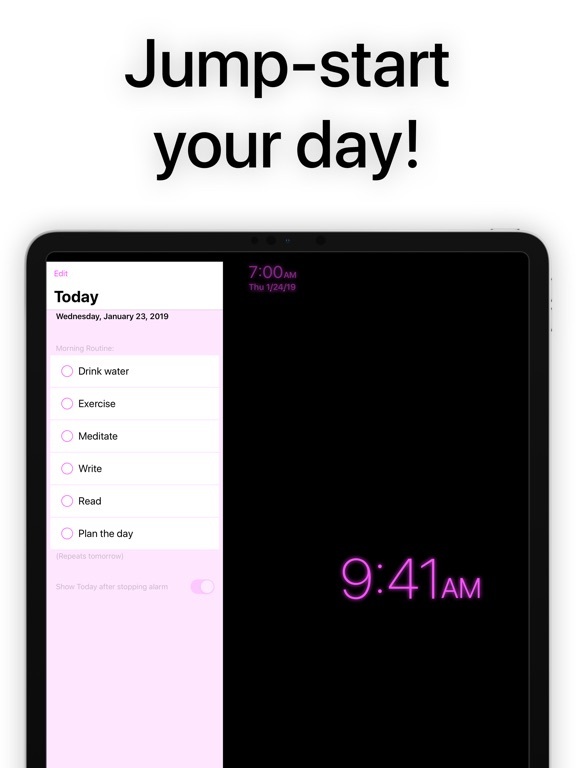 Do you like the idea of morning routines? 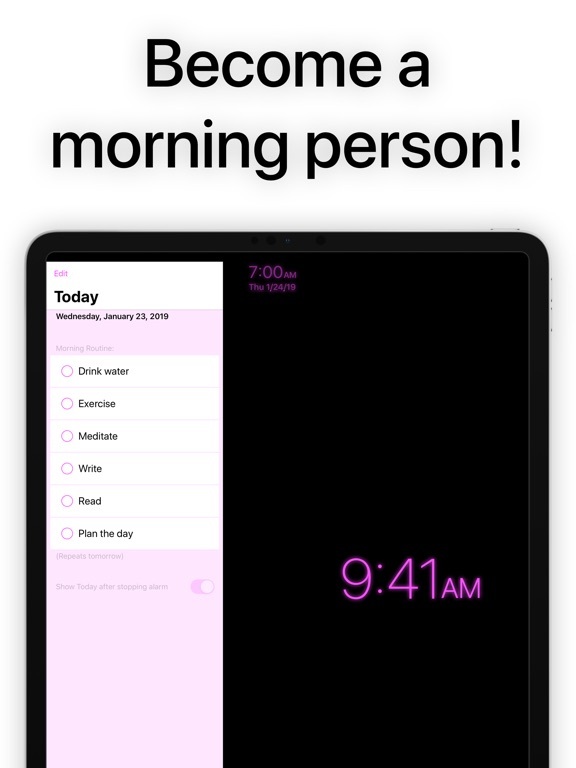 Create and track your individual morning routine inside the App. Improve your morning routine's consistency and reduce willpower depletion early in the morning. Experience the magic of a consistent morning routine! Imagine how your life would change for the better if instead of oversleeping and feeling regret and frustration the rest of the day, YOU were in control? Think of how much more you could get done, and even how healthier your body and mind would be! 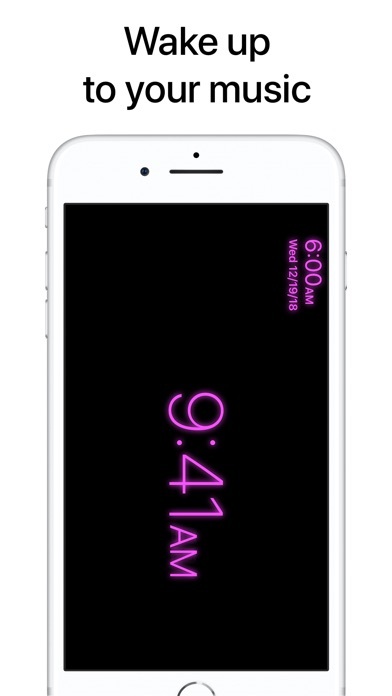 With Mathe Alarm Clock, you won’t just change how you wake up... you’ll change your life!